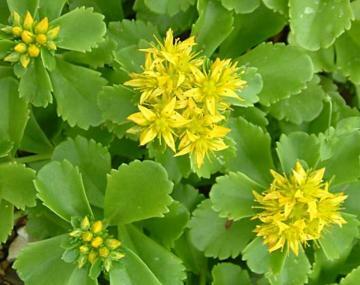 Neat, waxy bright green leaves and dense heads of small star-shaped yellow flowers in June and July. Thrives in harsh, dry sunny conditions. Ground cover for rock, gravel and alpine gardens.